AC Milan chairman Marco Fassone has confirmed that he has held discussions with the representative of Chelsea striker Diego Costa. The Rossoneri chief met up with super-agent Jorge Mendes earlier this week but confirmed that it had nothing to do with the future of the Spain international. 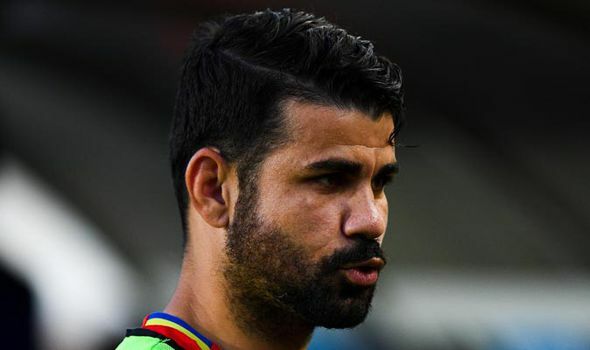 Speaking to Sky Sports, he said: "I would prefer to avoid talking about players from other teams; Diego Costa is a great player, but a Chelsea player. We went to see Jorge Mendes; there is a lot you can talk to him about. Costa is a great player but he is of Chelsea. That's all." Costa has managed 58 goals during his three-year spell at Stamford Bridge, but Conte has given up on keeping the striker following a training ground bust-up in January this year. The Blues have already recruited compatriot Alvaro Morata from Real Madrid on a club-record £70m, and Costa is more or less waiting for Atletico Madrid to find an intermediary club with their transfer ban only due to conclude next year. The Spain international wants to have assurances of regular first-team football during the World Cup year, and he may have to adapt to new club on loan before making his switch to Atletico. Turkish giants Besiktas are a potential option for the 28-year-old striker, but it remains to be seen whether he would accept a move to a league which is not as competitive as the one in Italy or his adopted nation Spain.